Adderall and Ritalin are stimulant drugs which are primarily used to treat attention deficit hyperactivity disorder (ADHD) as well as narcolepsy. Both drugs come as either short acting tablets or long acting capsules. Both stimulants are considered controlled substances as per the definition in New Jersey Revised Statutes 2C:35-2. Prescription drug possession and distribution is considered a very serious crime in New Jersey, with jail time and fines comparable with those handed out for other drug related crimes including distribution of marijuana, cocaine, heroin, and more. The criminal defense attorneys of Chamlin, Rosen, Uliano & Witherington protect clients from our local New Jersey communities who have been charged with unlawful possession with intent to distribute adderall or Ritalin including West Long Branch, Eatontown, Freehold, Red Bank, Asbury Park, Wall, and the greater Monmouth County region. Lean on our extensive experience and intimate knowledge of NJ Criminal law to seek reduced charges, lowered penalties, or even to have your charges dropped. Call our office today for a free and confidential consultation with a member of our seasoned legal team regarding your Adderall, Ritalin, or other prescription drug possession with intent to distribute charges. As you can see above, the determining factors of grading possession with intent to distribute Adderall, Ritalin, and all prescription drugs generally comes down to the amount of drugs in question, and whether or not there was an intent to receive financial compensation. These charges vary greatly, and may carry up to a ten (10) year prison sentence. The ultimate goal of our Freehold criminal defense attorneys will be to have your charges dismissed, win your case, or at least to have your charges reduced to a lesser degree. We will first want to meet with you, examine the evidence being presented in your case, and determine what strategies will be ideal for your unique circumstance. With these charges, the intent to distribute is key. Our attorneys may strive to show that the evidence that you were intending to distribute for financial gain is merely circumstantial, and that there is insufficient proof that you should be charged with a higher degree crime. We will often examine exactly how the evidence was gathered to see if it can be thrown out as inadmissible. This may include a violation of your rights, illegal search and seizures, improper law enforcement behavior, coercion of witnesses, and more. As an additional note, due to the extreme difference between different degrees of charges, reducing the charges by even a single degree can mean the difference between a ten year prison sentence with mandatory incarceration and a lesser sentence with a presumption of non-incarceration. “Presumption of incarceration” is generally associated with first or second degree felonies in New Jersey, and essentially means that first-time offenders are not to be granted leniency in terms of prison sentences. When it comes to such high stakes, why leave your future to chance? At The Law Office of Chamlin, Rosen, Uliano & Witherington, our legal team believes in protecting the freedoms of our clients from local New Jersey towns including Long Branch, Red Bank, Wall, Eatontown, West Long Branch, Ocean County, Freehold, and all of Monmouth County. Our criminal defense team is led by a partner who is one of only 43 out of 80,000 practicing NJ attorneys to be dual-certified as both a Criminal Trial and Civil Attorney by the Supreme Court of New Jersey. 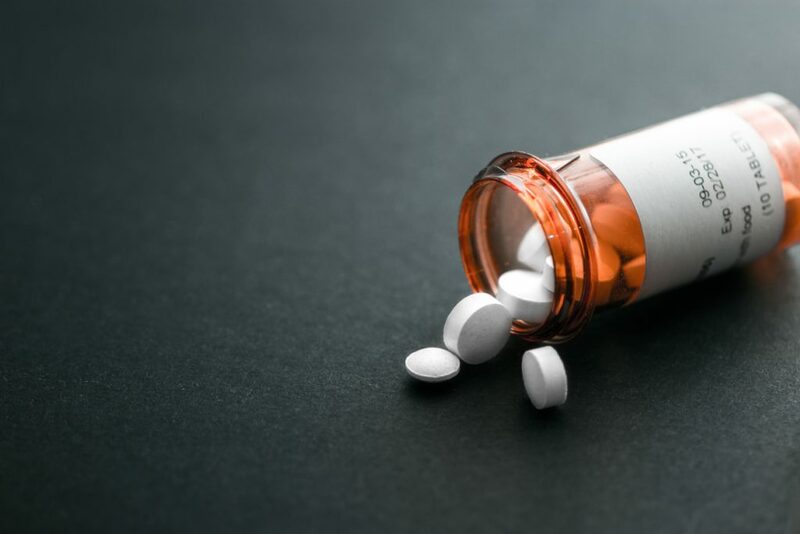 If you or a loved one has been charged with possession with intent to distribute Adderall, Ritalin, or any other prescription drug, our experienced attorneys are here to help. Call our West Long Branch offices by dialing (732) 440-3950 or contact us online for a free and confidential consultation regarding your prescription drug distribution charges and how we may be able to be of service today.